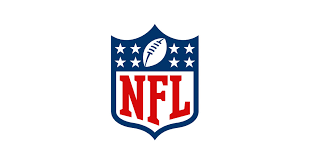 The NFL’s policy restricting cross-ownership began in the 1950’s in an effort by then Commissioner Bert Bell to have team owners focus their attention on the success of their NFL teams. This initial policy prohibited NFL team owners from having a controlling interest in a team of a competing league. This policy did not cause many problems at the time because back then sports-team ownership was a hobby for the wealthy, and “sports franchises weren’t the money makers they are today.” However, this policy was not codified in writing until the owners themselves approved a resolution in 1967 at an owners’ meeting. Over the next decade, NFL owners adopted various resolutions banning cross-ownership, but did not formally amend the NFL’s Constitution and Bylaws to reflect this. An official proposed amendment to the NFL Constitution and Bylaws banning cross-ownership was not presented for a vote until 1978. The proposed amendment would have prevented “all majority owners, certain minority owners, officers and directors of NFL teams, and certain relatives of such persons from owning any interest in a team in a ‘major team sport,’” which was defined to include baseball, basketball, hockey, and soccer. This proposed amendment is thought to have come in response, at least partially, to the rise of the North American Soccer League (NASL), in which multiple NFL owners were involved. The NASL most likely caught the attention of the NFL after the owner of the Kansas City Chiefs, Lamar Hunt, became a big supporter and investor of the NASL. However, the proposed amendment to ban cross-ownership became the subject of legal controversy, and was ultimately struck down. However, this victory did not last long for the NFL. 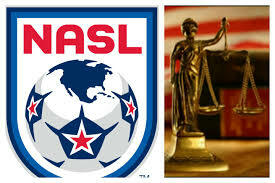 The NASL appealed the decision to the United States Court of Appeals, Second Circuit, Judge Walter R. Mansfield presiding. On appeal, the Court stated that the central question in the case was “whether an agreement between members of one league of professional sports teams (NFL) to prohibit its members from making or retaining any capital investment in any member of another league of professional sports (in this case NASL) violates the antitrust laws.” The Second Circuit rejected the “single entity” justification given by the lower court, stating that the “characterization of NFL as a single economic entity does not exempt from the Sherman Act an agreement between its members to restrain competition.” The Court decided that NFL owners have a right to own interest in other professional sports teams. On antitrust grounds, it was held that the ban “adversely affected competition in the capital market for the purchase of sports franchises,” and therefore the cross-ownership ban was struck down. The NFL attempted to argue that the ban was necessary in order to prevent the leaking of confidential NFL information to other sports leagues and to allow the NFL to compete efficiently in the professional sports league market, but this argument was unsuccessful. After the antitrust litigation with the NASL in the 1980’s, the NFL continued to operate as if the cross-ownership ban was still in place, but would occasionally grant exceptions to the rule. 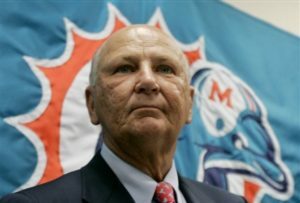 The NFL did not change the way it operated until 1997 when Wayne Huizenga (Huizenga) was allowed to become owner of the Miami Dolphins, while still retaining his ownership of the Florida Panthers (National Hockey League (NHL)) and Florida Marlins (Major League Baseball (MLB)). Huizenga bought the Dolphins in 1993, but the team was placed in a trust subject to restricted ownership under NFL rules, since he was in conflict with the cross-ownership rules. The NFL could have forced Huizenga to sell one or more of his teams if it did not change its position on cross-ownership. Well, the NFL did change its stance on cross-ownership in 1997 when it amended the NFL Constitution and Bylaws to modify the rule with the 1997 Resolution FC-3. NFL owners voted, 24-5-1, with one abstention to allow team owners to own multiple other major sports franchises. “Voting against the measure were the Detroit Lions, Cincinnati Bengals, Chicago Bears, Washington Redskins and Buffalo Bills. The Oakland Raiders abstained.” This was only possible after three teams (Minnesota, Tampa Bay, and New Orleans) decided to switch their votes in favor of the rule change. 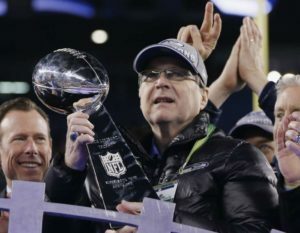 A major influence that helped effectuate the rule change, and helped Huizenga retain all of his teams, was the promise by Paul Allen, owner of the Seattle Seahawks, to keep the team in Seattle if he received stadium funding. After the team owners voted to change the rule, the Dolphins were taken out of the trust and Huizenga was given full-fledged ownership. 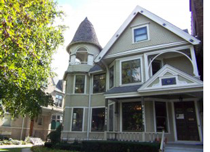 Huizenga said: “I’m glad that this issue has finally been resolved. Now that this matter is behind us, we can turn our full attention to the team itself.” In the end, Huizenga was able to retain ownership of all of his teams and implement a major change to the ownership rules of the NFL. The new Rule allowed NFL team owner cross-ownership in another major league sports team if: (1) the other professional sports franchise was in the same city as the NFL team of the owner, or (2) the other league’s franchise was in a neutral city, meaning a city that is not currently occupied by an NFL team and is not characterized as a potential NFL city. This Rule helped to advance the NFL’s goal of limiting competition among team owners to the field. The NFL does not want a situation where the owners, who are also business partners, are competing against each other for revenue from tickets, sponsorships, and merchandise, which they share. Essentially the NFL is trying to prevent owners from competing with each other for sports and entertainment dollars in the same city. This would be the case if owners were allowed to own their NFL team in one city and a baseball team in a different NFL city; the owner of the baseball team would be competing with his business partner (the other NFL owner) for fans and revenue. Truth be told, it’s not optimal, even in the same market, said Marc Ganis, president of a Chicago-based sports business consulting firm. What the league wants to avoid are things like confidential information from the NFL going to another league, [and] wants to avoid competing with each other for resources and things like that. And there’s the distraction from just focusing on the football team, including staff, including marketing. That the controlling owner of an NFL club may acquire an interest in a major league baseball, basketball or hockey (“other major sports league”) franchise (subject to prior notice to the Commissioner and to such covenants and safeguards as the Commissioner and Finance Committee may determine are appropriate to address actual or perceived conflicts of interest that may arise in the particular situation), but only if such other franchise is located (1) within the home territory of the owner’s NFL club, or (2) within a neutral area, i.e., any area that is not within the home territory of any NFL club. each home territory in which a club is currently playing (which, as of the date of this resolution, includes Houston) as well as the areas that would constitute the home territories of clubs playing in Cleveland, greater Los Angeles (including Orange County), Nashville, and Memphis. The NFL included the areas of Cleveland, Los Angeles, Nashville, and Memphis because at the time this Amendment was passed in 1997, these cities did not have an NFL team, but were considered potential NFL cities. the controlling owner of an NFL club may propose to sell his NFL ownership interest to an individual owner of a franchise in another major sports league, but only if (a) the other major sports league franchise is located within the home territory of the owner’s NFL club or within a neutral territory, (b) the NFL owner has given advance notice to the Commissioner of his consideration of such a sale and has advised the Commissioner of his reasons for believing the proposed cross-ownership to be appropriate, and (c) the Commissioner and the Finance Committee have investigated the situation in accordance with criteria and procedures to be established by them to address actual or perceived conflicts of interest or other circumstances relevant to the particular situation, and have determined that the relative balance of the asserted benefits and disadvantages of cross-ownership in the particular situation (including the existence or absence of other possible purchasers of the controlling NFL interest) make it appropriate for the NFL owner to proceed to negotiate the proposed sale and to submit it for the Executive Committee approval. any member of a controlling owner’s immediate family who either (a) holds an interest in the franchise, (b) is an officer, director or executive of the club or a club affiliate, or (c) is designated by the club as a representative to the Executive Committee pursuant to Article VI of the Constitution and Bylaws. any non-controlling owner who acquires his interest in an NFL franchise after May 25, 2004, and either (a) has an option, right of first refusal, or other contractual provision pursuant to which he may become the controlling owner of the club or (b) is designated by the club as a representative to the Executive Committee. These rule changes paved the way for NFL owners to take advantage of sports franchise opportunities in other professional sports leagues. After all, owners with multiple professional sports teams in the same city are only competing against themselves, and while the NFL would prefer this not be the case, it is not against the rules. The revenue generated by the NFL continues to increase each year and hit a record high of $13 billion in the 2015 season. Compare that to just five years earlier in 2010 when the NFL generated $8.7 billion in revenue, over $4 billion less than 2015. This comparison shows how quickly the NFL has been able to expand and increase its revenue potential. With the growing financial incentives of being part of the NFL, the landscape of team owners has changed from millionaires to billionaires. This is because owning an NFL team, in general, is becoming an increasingly profitable investment. Usually these wealthy owners have many other profitable investments, including other sports teams. This brings up two interesting points: (1) Which NFL owners have ownership interests in multiple sports; and (2) How does the NFL apply the cross-ownership rules when an owner has ownership interests in multiple sports teams? There are currently six NFL team owners that have ownership interests in professional, non-NFL sports teams. These owners are (1) Stan Kroenke, (2) Paul Allen, (3) Malcolm Glazer, (4) Shahid Khan, (5) Terry Pegula, and (6) Tom Benson. Stan Kroenke (Kroenke), is one of the wealthiest owners in all of sports. Kroenke is the owner, or was the owner, of the Los Angeles Rams (NFL), Denver Nuggets (National Basketball Association (NBA)), Colorado Avalanche (NHL), Arsenal (English Premier League (EPL)), Colorado Rapids (MLS), and the Colorado Mammoths (National Lacrosse League). Kroenke is also the fifth richest professional sports team owner in America and, according to Forbes, has a net worth of $7.4 billion. Paul Allen, is the wealthiest of all NFL owners and is the second wealthiest American sports team owner. Allen co-founded Microsoft in 1975 with his high school friend Bill Gates, and is worth an estimated $18.9 billion. Allen first entered the sports arena in 1988 when he purchased the Portland Trail Blazers (NBA) for $70 million. 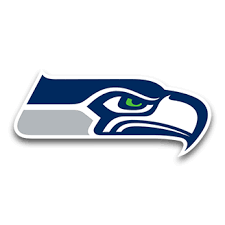 He next added an NFL team to his portfolio in 1997 when he purchased the Seattle Seahawks (NFL) for a reported $194 million, and is also part owner of the Seattle Sounders (MLS). It would appear that these investments have paid off for Allen, as it was reported in 2016 that the Seahawks and Trail Blazers are worth a combined $3.2 billion. Malcolm Glazer bought the Tampa Bay Buccaneers (NFL) in 1995 for a reported $192 million, and also became the owner of the English soccer team Manchester United (EPL) in 2005 for $1.4 billion. However, Malcolm Glazer passed away in 2014, leaving ownership of the teams to the Glazer family estate; said teams are currently run by Bryan Glazer, Darcie Glazer Kassewitz, Edward Glazer, and Joel Glazer. At the time of his death, Malcolm Glazer was worth an estimated $4.4 billion. 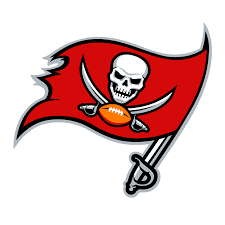 Today the Tampa Bay Buccaneers are worth more than $1.2 billion. 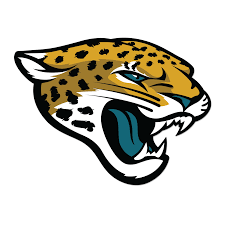 Another NFL owner with a controlling ownership interest in multiple professional sports teams is Shahid Khan, owner of the Jacksonville Jaguars (NFL). Khan is also the owner of Fulham, a professional soccer team in the EPL. He became the third NFL owner to buy into the EPL when he purchased Fulham in 2013. It is estimated that Khan is worth $8.6 billion. 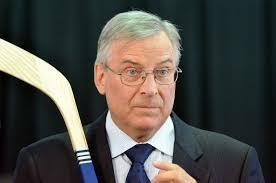 The next multi-sport, NFL owner is Terry Pegula. 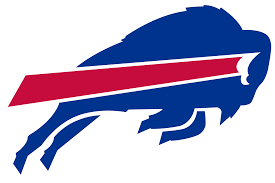 He bought the Buffalo Bills (NFL) in 2014 for $1.4 billion, and is also the owner of the Buffalo Sabers (NHL). Pegula’s purchase of the Bills played a major role in keeping the team in Buffalo, and he is worth an estimated $4.2 billion, according to Forbes. The final NFL owner that also owns a professional sports team outside of the NFL is Tom Benson, who has an estimated net worth of $2.6 billion according to Forbes. Benson is the owner of the New Orleans Saints (NFL) and he also became the sole owner of the New Orleans Hornets (now Pelicans) (NBA) in 2012. He purchased the Hornets (Pelicans) from the NBA for a reported $338 million, which was about $53 million higher than the valuation of the team given by Forbes at that time. Today, the team is reported to be worth around $750 million. 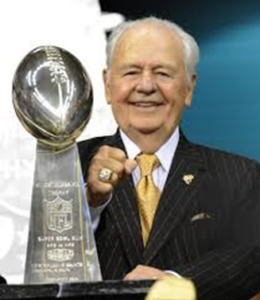 Benson is a New Orleans native and, at the age of 89, has been the owner of the Saints for over 30 years. These NFL owners all have two things in common: (1) They all own a professional, non-NFL, sports franchise in addition to their NFL franchise; and (2) they each have a net worth greater than a billion dollars. Additionally, they are all included in the Forbes 400 list of richest people in the United States. This all goes to further show that team ownership in the NFL is transitioning, or has already transitioned, from a millionaires club into a billionaires club. In total, there are eighteen NFL owners that made the cut for the Forbes 400 list in 2016. Consider this in light of the fact that the cutoff to be included on the Forbes 400 list required a net worth of at least $1.7 billion. This means that a majority of NFL owners today are billionaires, which might explain the growing trend of cross-ownership. However, this trend of billionaire, cross-ownership is not limited to just the NFL. With sixty-three billionaires collectively owning eighty-one franchises in twelve major sports leagues around the world, other major professional sports leagues are also seeing the development of a billionaires club among their team ownership. How does the NFL apply the cross-ownership rules when an owner has ownership interests in multiple sports teams? A recent example involving Stan Kroenke of the Los Angeles Rams shows how the cross-ownership rule is applied and how an owner can become compliant with the rule. Kroenke is one of the wealthiest owners in all of sports, and owns more teams than anyone else. 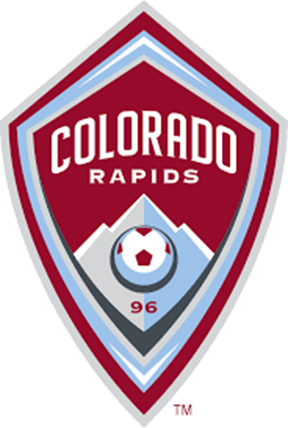 Outside of the NFL, Kroenke also owned the NHL’s Colorado Avalanche, NBA’s Denver Nuggets, and MLS’s Colorado Rapids, among other teams. This is obviously a problem under the NFL cross-ownership rules, as Denver is already an NFL city, home to the Denver Broncos. Kroenke had been in non-compliance with the cross-ownership rule since 2010, when he became the owner of the Los Angeles Rams. That ownership scenerio remained until 2015 when his plan to become compliant with the rule was approved by the other NFL owners. 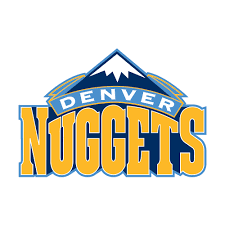 The approved plan, which allowed him to retain ownership of the Los Angeles Rams, placed the Denver Nuggets and Colorado Avalanche into an irrevocable trust that transferred ownership of the teams to his wife, Ann Walton Kroenke. She is a Wal-Mart heiress worth an estimated $6.4 billion, according to Forbes. However, the teams will be run and operated by Kroenke’s son. 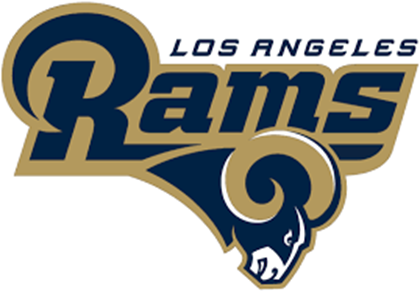 Kroenke became compliant with the cross-ownership rule by transferring his ownership interest in the Nuggets and Avalanche to his wife in trust; leaving Kroenke with only an ownership interest in the Los Angeles Rams. 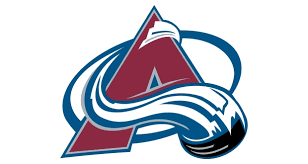 Even though Kroenke had to give up control of these two teams, he was able to keep control and ownership of the Pepsi Center—the teams’ home arena—and the regional sports network that broadcasts their games. This was possible because the NFL’s cross-ownership rule does not deal with ancillary business opportunity ownership, only team ownership. The three NFL owners that also own professional soccer teams in the EPL are Shahid Khan, the Glazer Family (i.e., Malcolm Glazer), and Stan Kroenke. 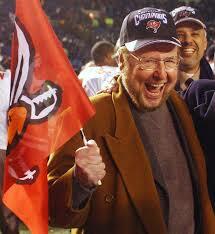 The first of the three to make the investment overseas was Malcolm Glazer, the owner of the Tampa Bay Buccaneers. 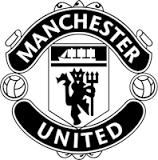 The Glazer family purchased the club Manchester United in 2006 for a reported $1.4 billion. After selling some shares in the team, the family still controls eighty-three percent (83%) of the voting power in the publicly traded company, and it is reported that the team is now worth about $3.1 billion. The team is located in Manchester, England. 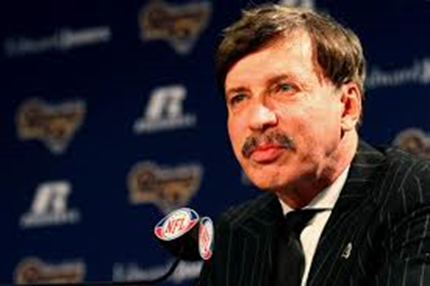 The next NFL owner to buy into the EPL was Stan Kroenke, owner of the Los Angeles Rams. 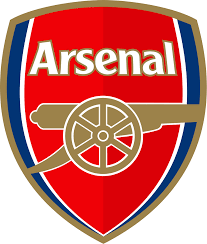 Kroenke first got involved in 2007 when he purchased about ten percent (10%) of the outstanding ownership shares in the English soccer club Arsenal. He increased his ownership stake in 2009 to twenty-eight percent (28.58% to be exact) after buying shares from other investors. In 2011, Kroenke became the first person in the history of the Arsenal club to own a majority of the ownership shares, when he increased his total stake to sixty-two percent (62%). Kroenke has remained the majority shareholder since that time, and today he owns a little over sixty-seven percent (67%) of the club’s total shares. The team plays its home games in London, England, and is estimated to be worth more than $2 billion, according to Forbes. 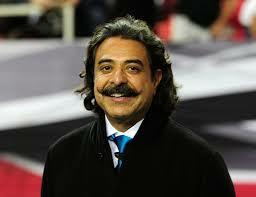 The most recent NFL owner to invest in English soccer was Shahid Khan, owner of the Jacksonville Jaguars. 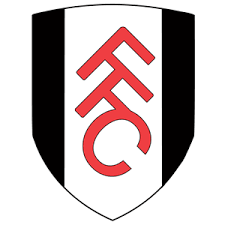 In 2013, Khan purchased 100% of the Fulham football club of the EPL for around £200 million. He has used this as an opportunity to promote the popularity of the Jacksonville Jaguars in London, England, which is where Fulham plays its home games. The move by NFL owners into international professional sports raises questions about whether it is time for the NFL to think more proactively about its cross-ownership rules. The issue here is, what happens if the NFL decides to expand internationally and places a team in England with the same home territory as one of the soccer clubs owned by an NFL owner. This would be in conflict with NFL cross-ownership rules, as NFL owners are not permitted to own professional sports teams located in a city with an NFL team, unless it is their own NFL team. The NFL has expressed a clear interest in expanding beyond the United States. This is evidenced by the increased number of NFL games played in different countries every season. NFL Commissioner Roger Goodell has said that “[w]e think it’s time to expand our international series to other countries and respond to the growing interest in our great game not only in the U[nited ]K[ingdom (U.K.)], but elsewhere around the world.” Additionally, in 2015, NFL owners approved more international games through 2025. 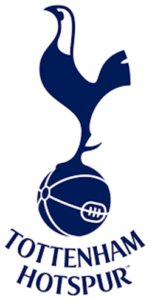 Some of these international games will be played in London, England, as the NFL entered into a 10-year agreement with EPL soccer club Tottenham, which will host at least two NFL games a season at its new London stadium when it is completed in 2018. The NFL’s interest in expanding into England is further evidenced by its announcement in December 2016 that four regular-season games would be played in London during the 2017 season, which will be the first time that the NFL has played four games in London. 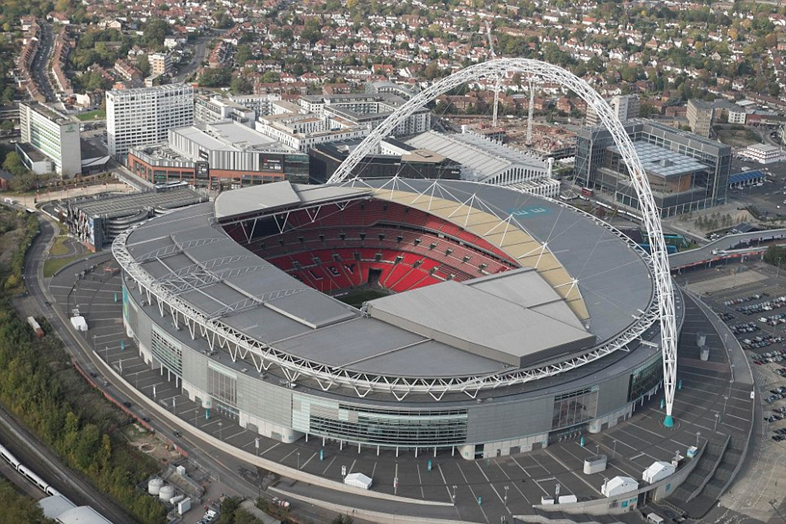 Two of these games will be played in Wembley Stadium, which is home to EPL Soccer. This will bring the total number of NFL teams to twenty-six that have played in London since the London Game Series began in 2007. Since 2007, the popularity of the NFL has grown tremendously in the U.K. Viewership of NFL games on Sunday has more than doubled, and the NFL expects to reach a record number of viewers in the U.K. for the 2017 season. According to the NFL, the league has developed new and stronger business partnerships in the U.K., and has a fan base there of more than thirteen million people, including around four million avid fans. Additionally, participation in amateur football in the U.K. has risen by about fifteen percent (15%) per year since 2007, with 40,000 people aged fourteen or older playing regularly today. The popularity of the NFL in the U.K. has grown so much that American Football is now an officially recognized sport in U.K. universities and schools. Looking ahead, it will be interesting to see how the NFL handles possible cross-ownership conflicts, if the league decides to expand to the U.K. As the rule stands now, it seems that the NFL owners with soccer clubs in England could be forced to sell their ownership stake if an NFL team is placed in the soccer club’s home territory. On the other hand, the NFL could grant these owners an exception and allow them to retain ownership of their soccer clubs, given the fact that they were there before the NFL. Considering how the NFL has been willing to evolve the cross-ownership rule in recent years, it is more likely the NFL would follow the second option above and allow the owners to retain their English Soccer Clubs. This increase in billionaire ownership among the major professional sports leagues is due in large part to the fact that billionaires are the only ones that can afford to purchase a team these days. While owning an NFL team is an increasingly profitable investment, the same can be said these days about owning a sports team outside of the NFL. With the values of sports franchises skyrocketing in recent years, fueled largely by billion-dollar television contracts, it is estimated by Forbes that there are now seventy-five sports teams worldwide, including sixty-five U.S. teams and ten European soccer teams, that are worth at least $1 billion. This has resulted in more sports team owners making the Forbes 400 list than ever before. Forty-four members, more than ten percent (10%), of the Forbes 400 are the controlling owner of a professional team in the four major U.S. sports leagues, which is up from the thirty-two members in 2013. Combined, these forty-four owners possess fifty-eight sports teams, including ten owners with a controlling interest in multiple teams. When broken down by sport, the NFL has the most owners included on the Forbes 400 list with eighteen, followed by the NBA with fifteen, the MLB and NHL with nine each, and then soccer with six. Therefore, the billionaire takeover of sports team ownership, and the cross-ownership of multiple sports teams, extends beyond just the NFL. Some of the more high profile cross-sport owners outside of the NFL include: James Dolan, Josh Harris, John Henry, Michael and Marian Ilitch, Ted Leonsis, and Jerry Reinsdorf. The first non-NFL, cross-sport owner mentioned, James Dolan, is the owner of the New York Knicks (NBA) and the New York Rangers (NHL). Dolan owns and operates these teams through his company, Madison Square Garden Company (MSG), where he serves as the Executive Chairman. According to Forbes, the Knicks are worth $3.3 billion and have been the NBA’s most valuable franchise for the past three years. 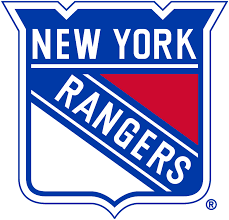 Just as the Knicks, the New York Rangers have been the most valuable NHL franchise the past two years with a valuation of $1.25 billion. Additionally, it has been reported that Dolan is worth an estimated $1.5 billion. The next cross-sport owner, Josh Harris, is worth an estimated $2.8 billion and is a member of the Forbes 400 list. Harris is the owner of the Philadelphia 76ers (NBA), the New Jersey Devils (NHL), and the Crystal Palace Football Club of the EPL. 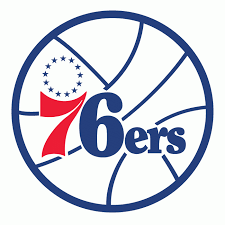 He purchased the 76ers in 2011 with a group of investors for around $290 million, and since then the team’s value has more than doubled. His next acquisition came in 2013 when Harris and his business partner, David Blitzer, purchased the New Jersey Devils for reportedly around $320 million, which is about equal to the current valuation of the team. Harris’s most recent sports investment took place in 2015 when he acquired a partial ownership interest in the Crystal Palace Football Club of the EPL for £50 million. The sale put Harris in control of the team with two other owners under a general partnership structure; in which each of the three partners own an eighteen percent (18%) stake in the club. Another billionaire owner with a stake in the EPL is John Henry, who has a reported net worth of $2.5 billion. John purchased Liverpool F.C. (EPL) in 2010 through his company, New England Sports Ventures (name changed to “Fenway Sports Group” in 2011), for £300 million. 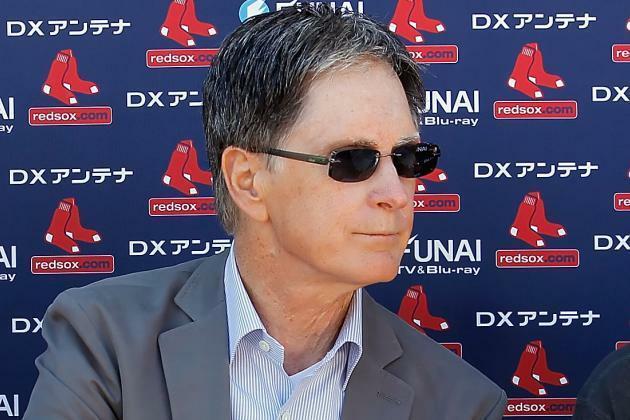 However, John Henry is better known for breaking the “Curse of the Bambino” in 2004 when he helped lead the Boston Red Sox to their first World Series Championship in eighty-six years. Henry purchased the Boston Red Sox (MLB) in 2002 for a reported $660 million, and, at the same time, sold his ownership of the Florida Marlins for $158 million. 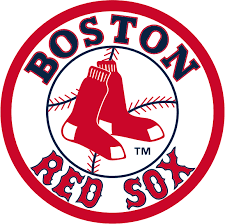 According to Forbes, the Boston Red Sox are now worth $2.3 billion, which ranks third highest in all of baseball. The next owners, Michael and Marian Ilitch, are the married founders of the Little Caesar’s pizza chain and have a combined net worth of $6.1 billion. Michael Ilitch made his move into the sports ownership business in 1982 when he purchased the Detroit Red Wings (NHL) for a reported $8 million. Ten years later, in 1992, Ilitch expanded his Detroit sports portfolio when he purchased the Detroit Tigers (MLB) for $82 million. He was committed to the city of Detroit and his importance to the city was highlighted by the Detroit Lions when the team’s President said that Ilitch’s “many positive contributions to our city and region will be everlasting and will greatly impact future generations of our community. His leadership of the Red Wings and Tigers truly set a standard of excellence.” Sadly, Michael Ilitch passed away on February 10, 2017 at the age of 87. The two teams that he left behind, the Red Wings and Tigers, are now worth an estimated $625 million and $1.15 billion, respectively. “Ted Leonsis is a sports team owner, venture capital investor, filmmaker, author and philanthropist with an estimated net worth of $1 billion.” Through his company, Monumental Sports and Entertainment, Leonsis owns the Washington Wizards (NBA) and the Washington Capitals (NHL). 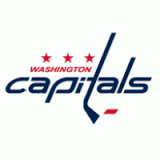 He purchased 100% of the Capitals in 1999 for a reported $85 million; today the team is worth $575 million. 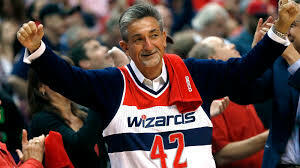 That same year, Leonsis acquired a forty-four percent (44%) stake in the Wizards, and it was not until 2010 when he acquired the remaining ownership stakes in the team. He purchased the remaining stakes for $551 million and the Wizards are currently valued at $1 billion, according to Forbes. The last high profile, billionaire, multi-team owner on the list is Jerry Reinsdorf. Unlike most of the other owners on this list, who first amassed their wealth elsewhere before entering the realm of sports team ownership, Reinsdorf made almost all of his fortune after entering the sports industry as an investing team owner. Reinsdorf, who has a net worth of $1.34 billion, is the controlling owner of both the Chicago Bulls (NBA) and the Chicago White Sox (MLB). 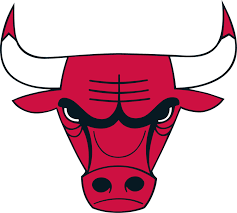 In 1985, one year after the Chicago Bulls drafted Michael Jordan, Reinsdorf bought a controlling ownership stake in the Bulls for only $9.2 million, and now it is estimated that he owns forty percent (40%) of the team; today the team is valued at $2.5 billion, fourth highest in the NBA. 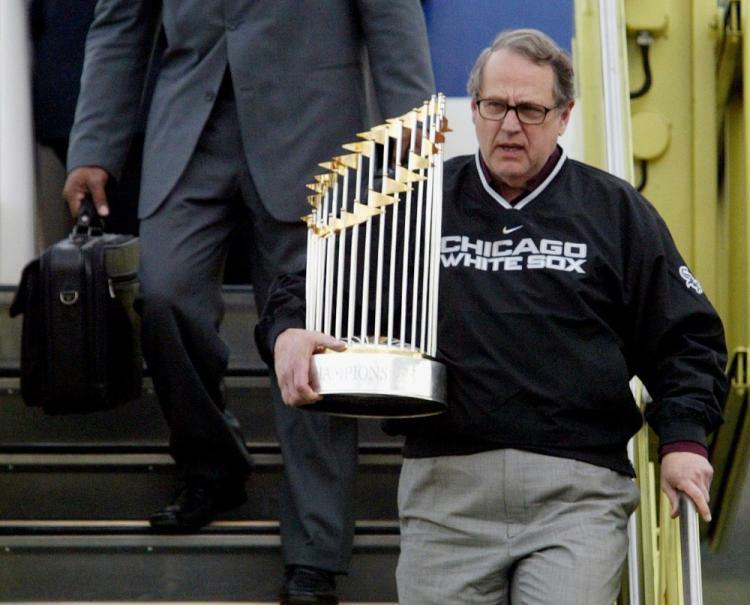 However, before purchasing the Bulls, Reinsdorf was the head of an investment group that purchased the Chicago White Sox in 1981 for around $19 million. Even though he is not technically a majority owner of the team, he has always had control of the team because he holds a majority stake in the corporation that runs the team. In 2016, the Chicago White Sox were said to be valued at $1.05 billion, with Reinsdorf owning an estimated nineteen percent (19%) of the team valued at $170 million. Charles Biggs is a recent graduate of Marquette University Law School, and received his Juris Doctorate in May of 2017. I also received the Sports Law Certificate from the National Sports Law Institute in May of 2017. While at Marquette, I was a member of both the Marquette Sports Law Review, and also the Sports Law Society at Marquette University Law School. Additionally, I was inducted into Marquette’s Pro Bono Society during my 2L year. During my time in Law School, I interned for the Wisconsin State Public Defender (Appellate Division), the National Sports Law Institute as a Research Assistant, and as a Research/Legal intern for Martin J. Greenberg. Prior to Law School, I earned my bachelor degree in Sport Management from the University of Missouri (Mizzou), as well as a minor in business. jbalsam, NFL Cross-Ownership Rules – Crossing the International Dateline, Official R. (July 18, 2013), http://www.theofficialreview.com/nfl-cross-ownership-rules/. Andy Pollin, NFL Ownership: Bills Benefit from Modern Rules, Fansided (Sept. 12, 2014), http://fansided.com/2014/09/12/nfl-ownership-bills-benefit-modern-rules/. North American Soccer League (NASL) v. NFL, 670 F.2d 1249, 1254 (2nd Cir. 1982). United Press Int’l, Cross-Ownership Ban in N.F.L. Struck Down, N.Y. Times (Jan. 28, 1982), http://www.nytimes.com/1982/01/28/sports/cross-ownership-ban-in-nfl-struck-down.html. See NASL v. NFL, 670 F.2d 1249 (2nd Cir. 1982). NASL v. NFL, 505 F.Supp. 659, 689 (S.D.N.Y. 1980). NASL v. NFL, 670 F.2d 1249 (2nd Cir. 1982). United Press Int’l, supra note 12. Thomas George, N.F.L. to Let Owners Have Franchises in Multiple Sports, N.Y. Times (Mar. 12, 1997), http://www.nytimes.com/1997/03/12/sports/nfl-to-let-owners-have-franchises-in-multiple-sports.html?pagewanted=print. Vic Carucci, NFL Adapts to Crossover Ownership, Buffalo News (Oct. 9, 2014), http://www.buffalonews.com/sports/bills-nfl/nfl-adapts-to-crossover-ownership-20141008. Nathan Fenno & Sam Farmer, NFL Owner Vote on Relocation to L.A. Expected in January, L.A. Times (Oct. 7, 2015), http://www.latimes.com/sports/la-sp-sn-nfl-owners-meetings-los-angeles-2013-20151007-story.html. 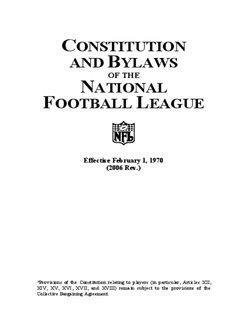 Constitution and Bylaws of the NFL (revised 2006), 1997 Resolution FC-3. Constitution and Bylaws of the NFL (revised 2006), 2004 Resolution FC-2. Steven Kutz, NFL Took in $13 Billion in Revenue Last Season – See How it Stacks Up Against Other Pro Sports Leagues, MarketWatch (July 2, 2016), http://www.marketwatch.com/story/the-nfl-made-13-billion-last-season-see-how-it-stacks-up-against-other-leagues-2016-07-01. Colin Checcio, 11 Owners of More Than One Major Sports Franchise, Fields of Green (Sept. 10, 2014), http://thefieldsofgreen.com/2014/09/10/11-cross-sport-owners-of-major-professional-league-franchises/. Jason Alsher, 5 Richest Sports Team Owners in America, Sports Cheat Sheet (Feb. 2, 2017), http://www.cheatsheet.com/sports/the-5-richest-american-sports-team-owners.html/?a=viewall. Kurt Badenhausen, America’s Richest Sports Team Owners 2016, Forbes (Oct. 4, 2016), https://www.forbes.com/sites/kurtbadenhausen/2016/10/04/americas-richest-sports-team-owners-2016/#58bf3d6915a6. Dan Alexander, Malcolm Glazer, Billionaire Owner of Manchester United and Tampa Bay Bucs, Dies at 85, Forbes (May 28, 2014), http://www.forbes.com/sites/danalexander/2014/05/28/malcolm-glazer-billionaire-owner-of-manchester-united-and-tampa-bay-bucs-dies-at-85/#3c397b764110. Forbes 400: Real Time Rankings, Forbes, https://www.forbes.com/forbes-400/list/#version:realtime (last visited Apr. 30, 2017). Terrence Pegula, Forbes (May 24, 2017), https://www.forbes.com/profile/terrence-pegula/. Forbes 400: Tom Benson, Forbes (2017), http://www.forbes.com/profile/tom-benson/. 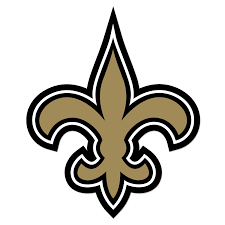 Dan Devine, The New Orleans Hornets Have A New Owner: Tom Benson of the New Orleans Saints, Yahoo! Sports (Apr. 13, 2012), http://sports.yahoo.com/blogs/nba-ball-dont-lie/orleans-hornets-owner-tom-benson-orleans-saints-163602388.html. Id. The New Orleans Hornets had been under the ownership of the NBA for sixteen months at the time Tom Benson purchased the team. Id. The Business of Basketball: New Orleans Pelicans, Forbes (Feb. 2017), https://www.forbes.com/teams/new-orleans-pelicans/. Saints Owner Agrees to Buy Hornets, ESPN (Apr. 14, 2014), http://www.espn.com/nba/story/_/id/7809655/new-orleans-saints-owner-tom-benson-agrees-buy-new-orleans-hornets. Forbes 400: Real Time Rankings, supra note 63. Kurt Badenhausen, The World’s Richest Sports Team Owners 2016, Forbes (Mar. 1, 2016), http://www.forbes.com/sites/kurtbadenhausen/2016/03/01/the-worlds-richest-sports-team-owners-2016/#6083940975b2. Daniel Kaplan, Kroenke to Offer Plan to Comply with NFL Rules, Sports Bus. J. (Oct. 5, 2015), http://www.sportsbusinessdaily.com/Journal/Issues/2015/10/05/Franchises/Stan-Kroenke.aspx. Fenno & Farmer, supra note 36. Bernie Miklasz, NFL Gives Kroenke a Pass on Cross Ownership, 101sports (Oct. 8, 2015), https://www.101sports.com/2015/10/08/nfl-gives-kroenke-a-pass-on-cross-ownership/. Glazer Family, Profile, Forbes, https://www.forbes.com/profile/glazer-1/ (last visited Apr. 30, 2017). General Information, Manchester United, http://www.manutd.com/en/Club/Club-Contacts.aspx (last visited May 24, 2017). Andy Kelly, Where Did Stan Kroenke Get His Arsenal Shares From? – Part 2, The Arsenal History (Mar. 28, 2016), http://www.thearsenalhistory.com/?p=13265. The Business of Soccer, Forbes (2016), https://www.forbes.com/teams/arsenal/. Dominic Fifield, Fulham Agree Sale to the Jacksonville Jaguars Owner Shahid Khan, The Guardian (July 12, 2013), https://www.theguardian.com/football/2013/jul/12/fulham-takeover-shahid-khan-jacksonville. Barry Wilner, Roger Goodell, Owners Expect Future Vote on LA Relocation, Pro Football Weekly (Oct. 8, 2015), http://www.profootballweekly.com/2015/10/08/roger-goodell-owners-expect-future-vote-on-la-relocation/akh86j6/. 2017 London Games: NFL Announces Which Teams Will be Playing, NFL.com (updated Apr. 10, 2017), http://www.nfl.com/news/story/0ap3000000756092/article/2017-london-games-nfl-announces-which-teams-will-be-playing. 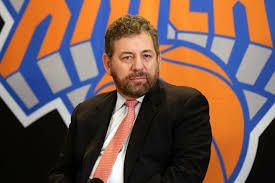 James L. Dolan, Madison Square Garden Co. (2017), http://www.themadisonsquaregardencompany.com/our-company/leadership/james-l-dolan.html. The Business of Basketball: New York Knicks, Forbes (Feb. 2017), http://www.forbes.com/teams/new-york-knicks/. The Business of Hockey: New York Rangers, Forbes (Nov. 2016), http://www.forbes.com/teams/new-york-rangers/. James Dolan Net Worth, TheRichest (2017), http://www.therichest.com/celebnetworth/celebrity-business/ceo/james-dolan-net-worth/. The World’s Billionaires: Joshua Harris, Forbes (2017), https://www.forbes.com/profile/joshua-harris/?list=rtb. 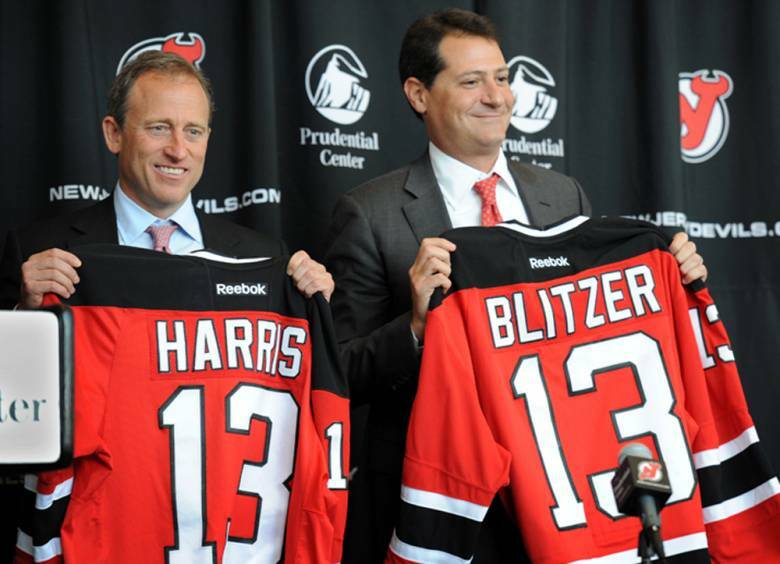 Chris Peters, New Jersey Devils Sold to Group Led by Josh Harris, David Blitzer, CBSSPORTS.com (Aug 14, 2013), http://www.cbssports.com/nhl/news/new-jersey-devils-sold-to-group-led-by-josh-harris-david-blitzer/. Press Association, Palace Agree £50m US Investment from New Jersey Devils Owner, The Guardian (Dec. 18, 2015), https://www.theguardian.com/football/2015/dec/18/crystal-palace-us-investment-josh-harris. Peter O’Rourke, NESV Complete Reds Takeover, Skysports (Oct. 15, 2010), http://www.skysports.com/story/0,19528,11669_6446330,00.html. Forbes 400: John Henry, Forbes (2017), http://www.forbes.com/profile/john-henry/. Murray Chass, BASEBALL; Owners Give Approval To Sale of the Red Sox, N.Y. Times (Jan. 17, 2002), http://www.nytimes.com/2002/01/17/sports/baseball-owners-give-approval-to-sale-of-the-red-sox.html. Forbes 400: John Henry, supra note 125. The World’s Billionaires: Michael & Marian Ilitch, Forbes (2017), http://www.forbes.com/profile/michael-marian-ilitch/?list=rtb. 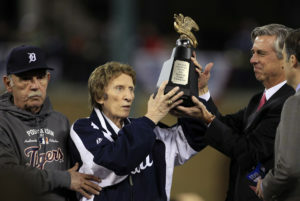 Mike Ilitch, Owner of Tigers and Red Wings, Dies at Age 87, ESPN (Feb. 12, 2017), http://www.espn.com/mlb/story/_/id/18661440/mike-ilitch-owner-detroit-tigers-red-wings-dies-age-87. The Business of Hockey: Detroit Red Wings, Forbes (Nov. 2016), http://www.forbes.com/teams/detroit-red-wings/. 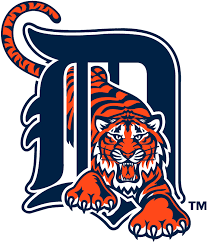 The Business of Baseball: Detroit Tigers, Forbes (Mar. 2016), http://www.forbes.com/teams/detroit-tigers/. Ted Leonsis Net Worth, TheRichest (2017), http://www.therichest.com/celebnetworth/celebrity-business/team-owner/ted-leonsis-net-worth/. The Business of Hockey: Washington Capitals, Forbes (Nov. 2016), http://www.therichest.com/celebnetworth/celebrity-business/team-owner/ted-leonsis-net-worth/. Dave Sheinin, Ted Leonsis Looks Toward the Future, Hints at Possible Move for the Capitals, Wizards, Wash. Post (Nov. 2, 2016), https://www.washingtonpost.com/sports/ted-leonsis-looks-toward-the-future-hints-at-possible-move-for-capitals-wizards/2016/11/02/25c11eb8-a118-11e6-8832-23a007c77bb4_story.html?utm_term=.7ac3781cc69d. The Business of Basketball: Washington Wizards, Forbes (Feb. 2017), http://www.forbes.com/teams/washington-wizards/. The World’s Billionaires: Jerry Reinsdorf, Forbes (2017), http://www.forbes.com/profile/jerry-reinsdorf/. The Business of Basketball: Chicago Bulls, Forbes (Feb. 2017), http://www.forbes.com/teams/chicago-bulls/. Jared S. Hopkins & Melissa Harris, Reinsdorf Recommends Selling Sox After He Dies, Chi. Tribune (July 28, 2013), http://articles.chicagotribune.com/2013-07-28/sports/ct-spt-0728-white-sox-chicago-sports-20130728_1_jerry-reinsdorf-white-sox-michael-reinsdorf. The Business of Baseball: Chicago White Sox, Forbes (Mar. 2016), http://www.forbes.com/teams/chicago-white-sox/. The World’s Billionaires: Jerry Reinsdorf, supra note 139.